Come along to our playgroup and meet other parents, have a chat and a cuppa. Children of all ages are welcome to attend, where they can play with toys, take part in games and activities and generally have fun with other children of similar ages. It is a great way to get to know the school and others in the local community, whilst the children explore the environment through play. 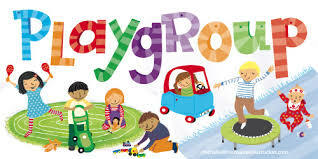 The playgroup runs every Tuesday morning in the school hall 9:00am – 11:30am. We ask for a contribution of £2 per family to cover costs of tea, coffee and snacks for the children. If you have any questions then please contact the school.